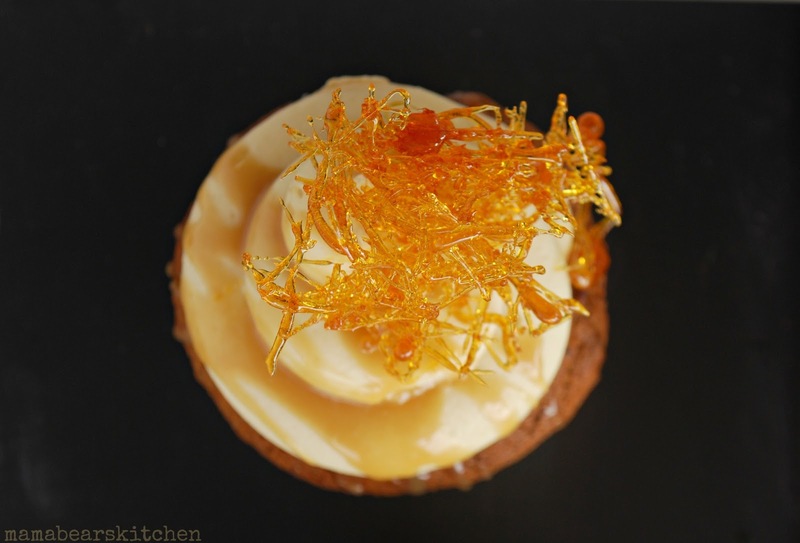 I have been experimenting with sticky date pudding recipes and trying a few different ways to put this delicious winter dessert into a cupcake. 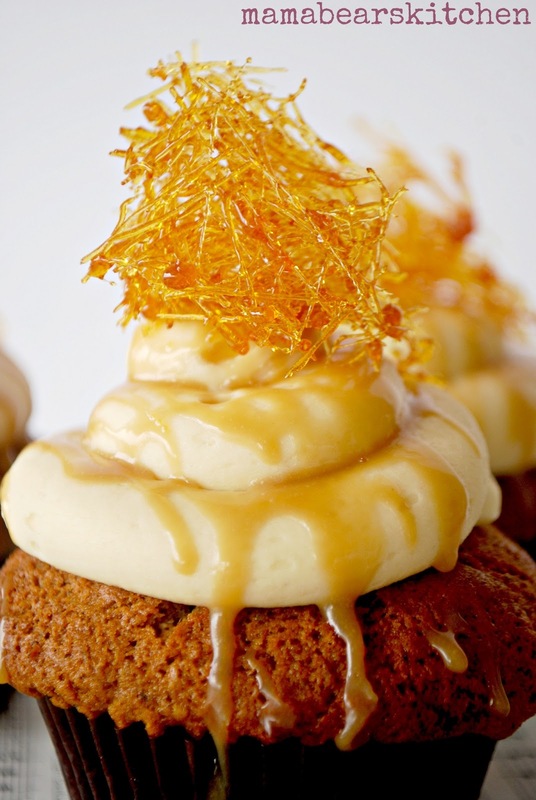 This recipe is super moist and the hint of aromatic spices complement the dates perfectly. 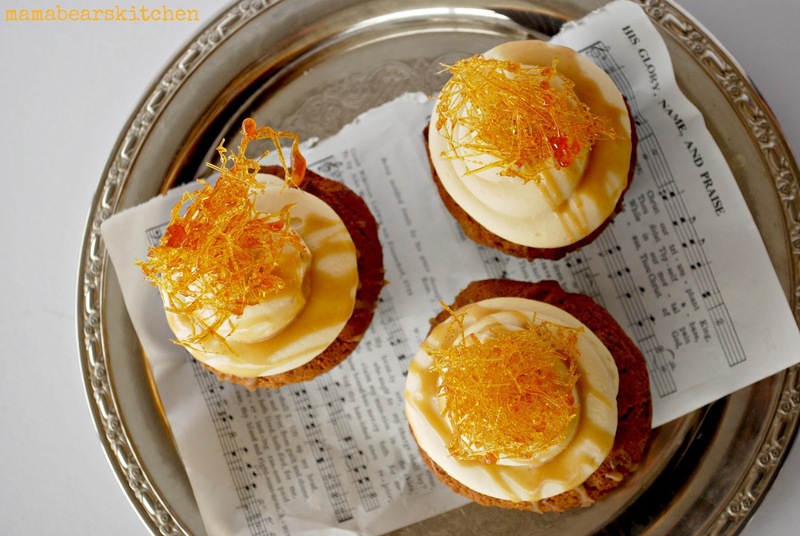 They are delicious as a cupcake or could be spruced up a bit served warm with a heavy dose of butterscotch sauce and ice cream. Any way you choose to eat them, they are scrumptious!!! * 1 cup of dates covered in a saucepan with 1 cup of water. * Pre heat oven to 180C. Line two muffin tins with papers. *Whisk together eggs, oil, vanilla, sour cream. *Stir in dates and 1/4 cup warm water. Mix carefully until well combined. * In a separate bowl, sift flour,add sugar, bi carb, baking soda and spices. Stir until well combined. *Slowly pour wet mixture into dry mixture and whisk carefully until well combined. * Spoon into prepared muffin tins. This mix will make approximately 15 – 18 cupcakes. * Bake for 18 minutes. * Cool in tins for 5 minutes before turning onto wire rack to cool. 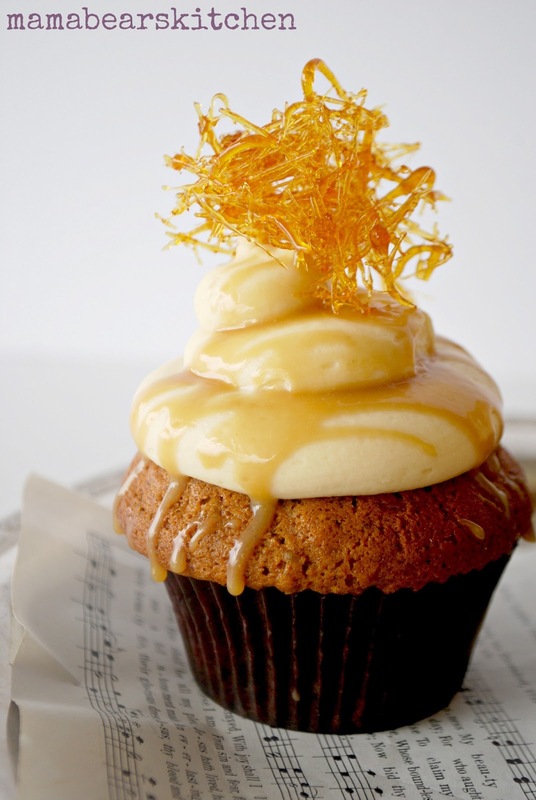 * Decorate with butterscotch frosting, caramel sauce and spun sugar if desired. I am relatively new at making caramel and tend not to use measurements, so take this recipe at face value!! You may choose to use a more reliable recipe!!! dashings of cream! *Put brown sugar into a heavy based saucepan on low heat. * Drop in butter one cube at a time and stir until melted. *Pour in condensed milk, stirring continually. * Add tablespoons of cream as desired. Keep checking flavour and stop when you are happy with it!!! 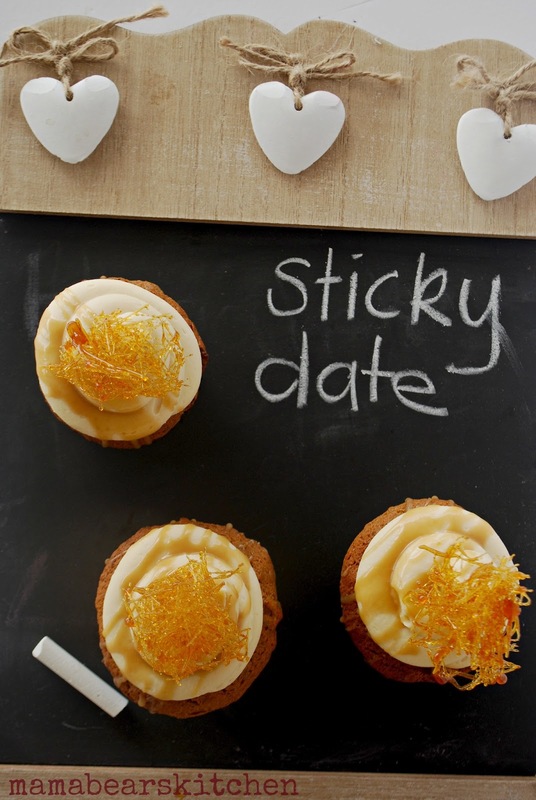 *Leave to cool while you make the frosting. You may need to re heat slightly to make it smoother. * Place butter and cream cheese in electric mixer on med until well combined. 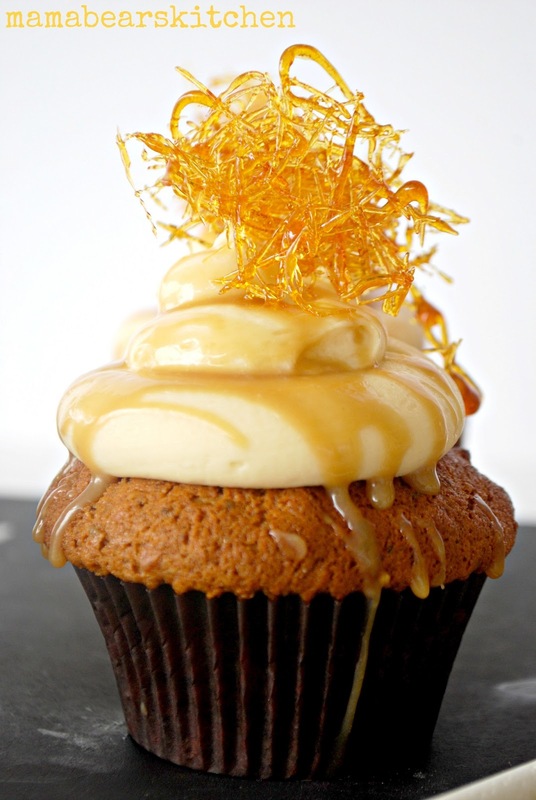 * Slowly pour 1/2 cup butterscotch sauce into mixture. * Turn mixer on low and slowly add icing sugar. Add dashings of cream if it is too stiff. You may need more icing sugar if it is too runny. *Decorate cupcakes as desired. 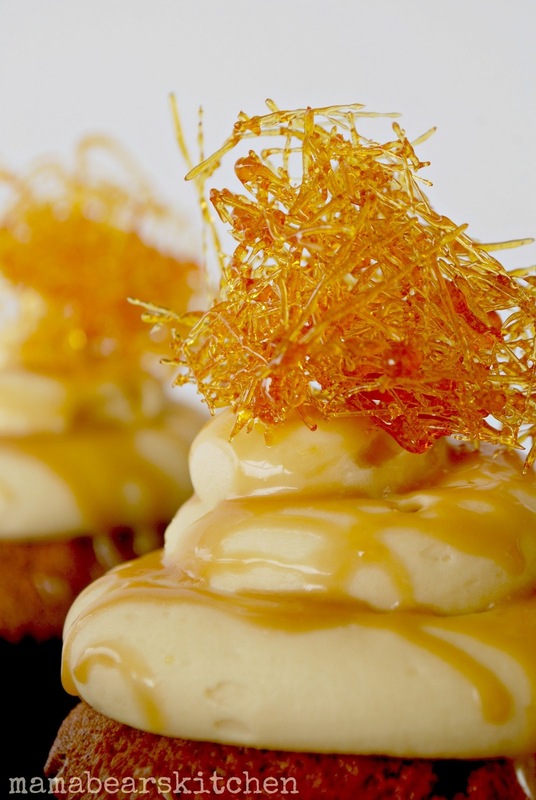 You can use the remaining butterscotch sauce to drizzle over the finished cupcakes. Defiantly have to make those!! Hello. Thanks for your comment. I am an Aussie too!!! I use plain flour. The bi carb soda and baking powder act as rising agents. HOpe you like the cupcakes. They are delicious!